The 2019 Hyundai Santa Fe is a crossover that seats up to five passengers in two rows of seats. It's designed to replace the 2018 Santa Fe Sport and is therefore larger than past models. If you wanted a third row Hyundai will be adding the Sante Fe XL coming soon. One key difference between the 2018 and 2019 models is that the 2019 vehicle sports Hyundai's new look, which features a more upright grille with narrower LED lights and chrome accents. 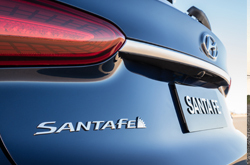 Adding to the 2019 Santa Fe's stylish new look are brighter LED tail lights and front LED lighting accents, which gives the Santa Fe a graceful appearance. The 2019 Santa Fe is longer than its 2018 predecessor, and it has two more inches of wheelbase. 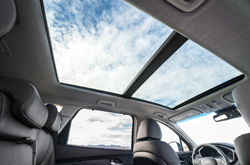 On the inside, the latest Santa Fe has a redesigned cabin that gives passengers more room. It also has more cargo space behind the front seats. 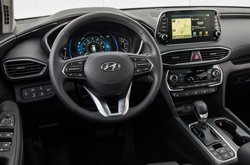 The dashboard is lower in the 2019 Santa Fe, which adds to the cabin's more spacious feel. The infotainment system is still within easy reach of the driver and front passenger, and you have the option of upgrading from a standard 7-inch screen to a more visible 8-inch screen. Other standard tech amenities include Apple CarPlay and Android Auto. The Santa Fe's list of standard safety features has expanded to include rear cross-traffic alert, automatic braking, pedestrian detection, and blind spot monitoring. What are the Five Modern Trims for 2019? There are five trim levels of the 2019 Santa Fe, which are: the SE, SEL, SEL Plus, Limited, and Ultimate. The SE has 17-inch wheels, a 7-inch infotainment touchscreen, and a 6-way adjustable driver's seat with lumbar support. Apple CarPlay and Android Auto are standard tech amenities, as are two USB ports. Completing the base trim's features are a backup camera and AC. The SEL adds to the base model features with heated seats and an 8-way power-operated driver's seat. The SEL also comes with a complimentary 90-day Sirius XM radio subscription. The SEL Plus adds sliding and split-folding second row seats. Starting with this trim level, you'll get a higher quality audio system. Rounding out this trim's standard amenities are dual-zone climate control and a leather-wrapped steering wheel. The Limited edition builds on the other trims' amenities with an auto-dimming rearview mirror, intuitive cruise control, and hands-free. You'll also get an 8-way power-operated front passenger seat and the option of a more powerful turbo-charged engine with this trim. Topping the list is the Ultimate. The driver's seat in this model has four-way lumbar support. Both front row seats are heated and ventilated. Heated second-row seats are also standard. With the Ultimate, you'll get a larger 8-inch touchscreen with navigation. The 2019 Santa Fe is powered by several different engines. The base engine is a four-cylinder engine that produces up to 185 HP. On the higher level trims, you'll have the option of upgrading to a faster and more powerful 2.0L, turbocharged engine that generates up to 235 HP. Along with the engines that run on standard gasoline, there is also a diesel engine option for the Santa Fe. This 2.2L engine produces up to 190 HP and over 320 LB-FT of torque. 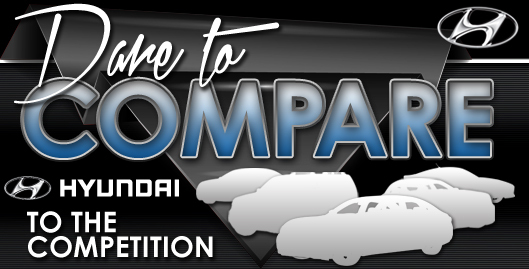 All engines are paired with an eight-speed automatic transmission, and they are all paired with all-wheel drive. With an array of standard features, the Santa Fe does not skimp on safety. Lane-keep assist, cross-traffic alert, and blind spot monitoring are all features that make the Santa Fe safe to drive. The Santa Fe also comes with a Safe Exit feature that alerts occupants when cars or cyclists are approaching from behind. A back seat occupant system will alert the driver if motion is detected near the back row doors after the doors have been locked. Come see why the 2019 Hyundai Santa Fe is worth taking a test drive.